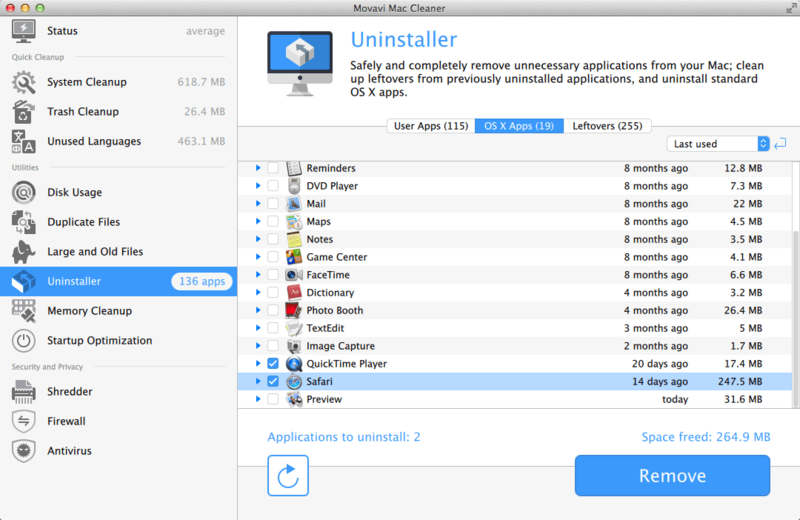 Note: we used Mac Cleaner 2.2 and the standard version of MacBooster 3.1.0 for our review. Both interfaces are stylish and user-friendly, so you can easily get used to either of them. However, MacBooster’s settings are quite complicated, and some of the options are hidden deep in the interface, which can lead to confusion for the user. MacBooster has one more small but irritating disadvantage: the font used for the menu items and buttons is very small, which can be uncomfortable for some users. 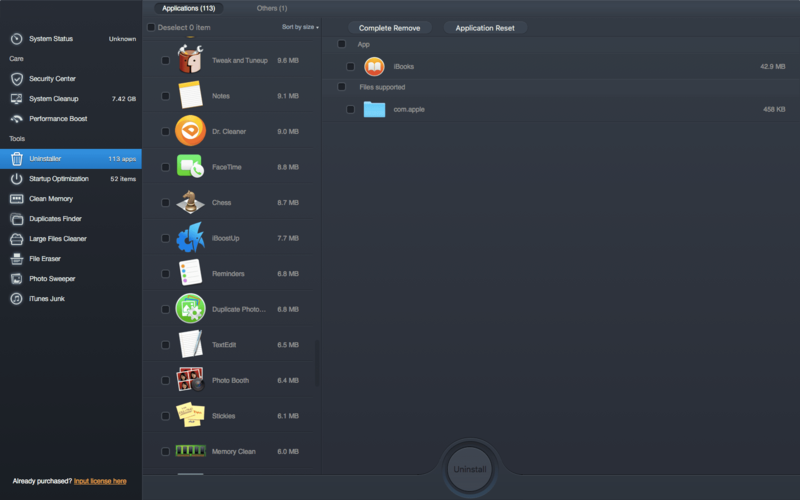 All in all, Mac Cleaner’s design seems to be clearer and more intuitive thanks to a more legible interface and the absence of complicated settings. 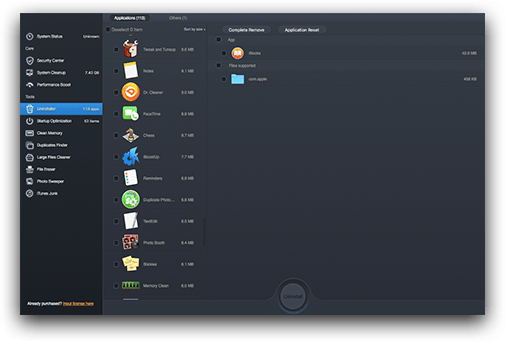 MacBooster and Mac Cleaner have quite similar functionality, offering users a number of cleaning options and tools: system cleanup, finding duplicates, deleting large files, uninstalling applications, etc. In the table below, you’ll see the main features of both programs compared. Safety is crucial when you clean system applications, as deleting some can cause your computer to not work correctly. 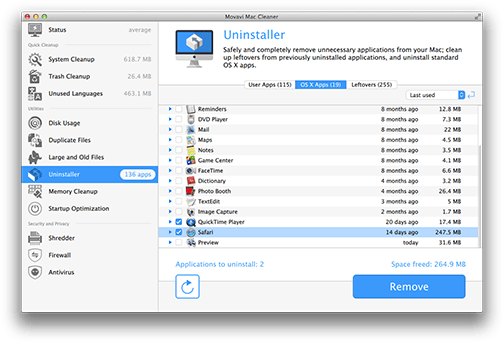 In MacBooster, the Uninstaller tab is presented as a single list containing both user and system apps, so it’s easy to delete important programs inadvertently. 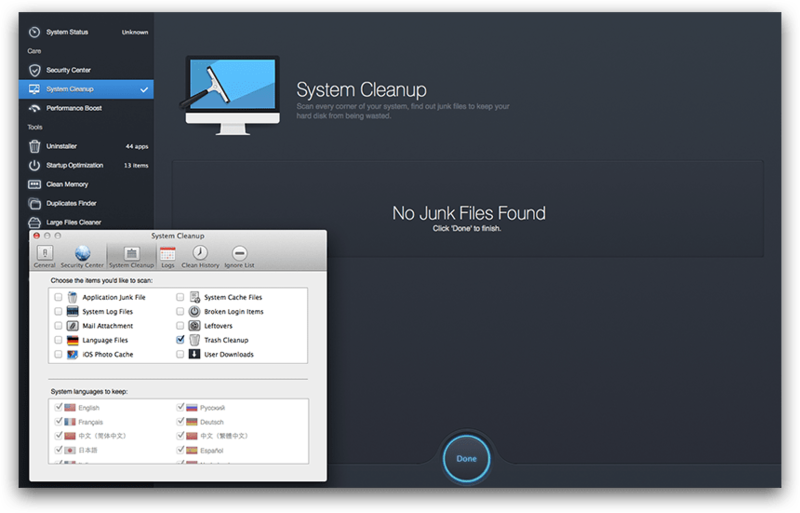 In Mac Cleaner, the user and system apps are placed in different lists, and key programs are not available for cleaning at all, which makes the whole operation much safer. Whether you’re an experienced user or trying a program for the first time, you never know when you might need some help. It’s easily available from IObit and Movavi, as both offer users professional technical support. Mac Cleaner’s main advantage here is a live chat option that lets you ask any questions about the program any time. The standard license for IObit MacBooster 3 costs $59.95, making it more expensive than Mac Cleaner, which offers a special 40% discount, bringing the price down to $39.95. MacBooster is available in a lite version at $39.95, but this lacks many of the functions (see the table below) included in Mac Cleaner. 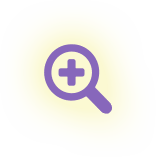 Mac Cleaner’s affordable price means you don’t need to spend time looking for keygens, cracks and other illegal and unsafe ways to get quality software. You can buy this program once and use it for a lifetime. The big problem with MacBooster is that it doesn’t have a usable trial, so you can’t try all its features unless you buy a license key. Mac Cleaner is more flexible: you don’t have to activate it immediately to start cleaning your computer. You can try out all its main features before buying the activation code – just download a free trial. To learn more about Movavi Mac Cleaner, please visit our product page. 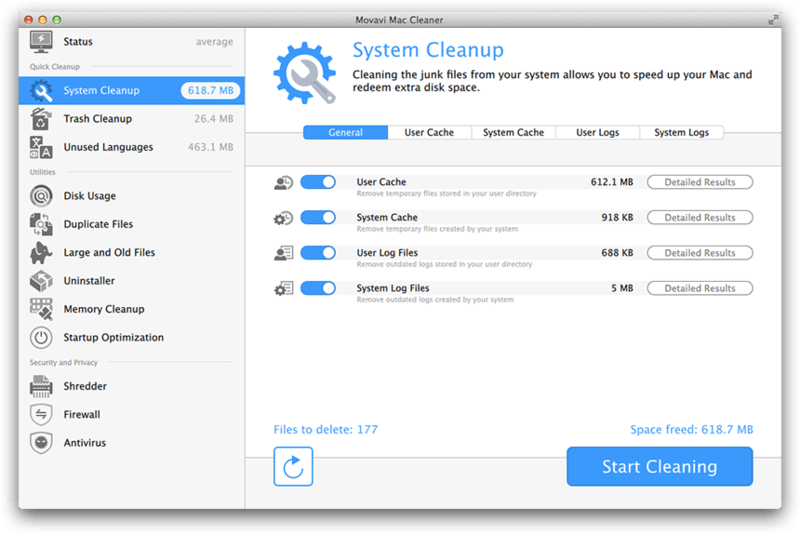 Movavi Mac Cleaner works with Mac OS X 10.7 or higher and is suitable for all Mac models: MacBook, iMac, Mac Mini, and Mac Pro.